While modern homes may be getting smaller, they still have a ways to go before they are as small as the homes our great-grandparents lived in. If they came from the old country, they were likely living in cottages or row houses. I remember seeing the little row house where my great-grandparents lived, as gardeners and servants to the neighbouring estate. Three up and three down — and they raised six kids! And many were even smaller. Even when they moved to North America, our families lived in little houses (at least in the cities). 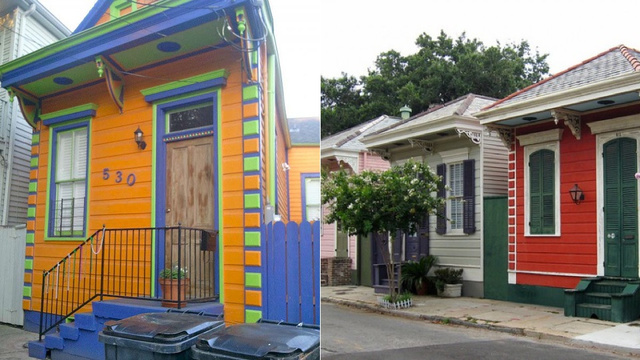 Thanks to Gizmodo for that picture of houses in New Orleans. And of more pictures of adorable little homes. By building our home smaller, we’re not just embracing the future, we are saluting the past! 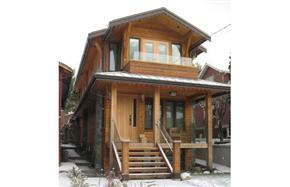 Posted in Housing, Laneway House, Small House and tagged Lane house, Laneway House, Neighbourhoods, style. Bookmark the permalink. 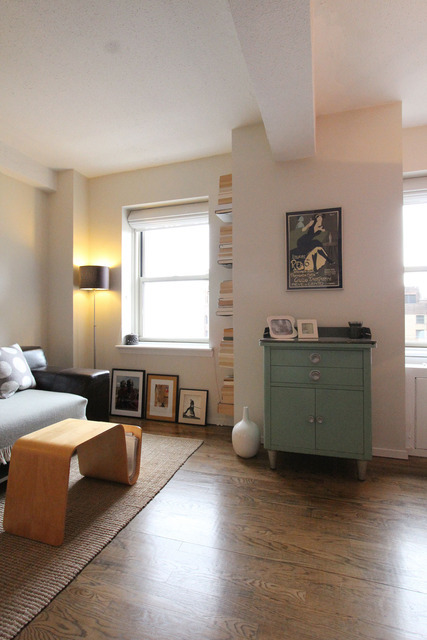 By now you may have noted my interest in other people’s small spaces — and more importantly, what they’ve done with them. This story on Apartment Therapy is about a small apartment in Brooklyn, New York, that still manages to feel (in the words of the article) “comfortable and roomy”. 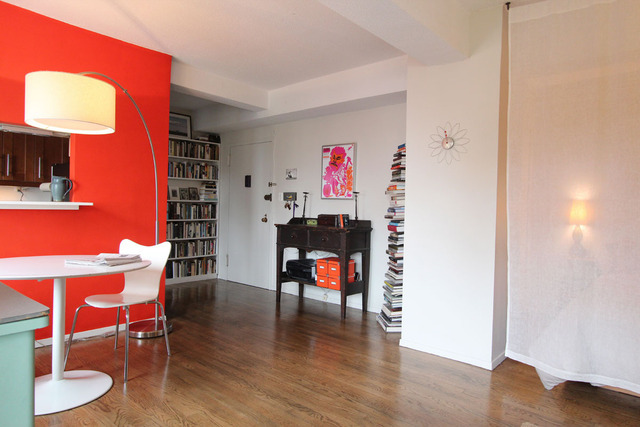 That bold shot of colour emphasizes the other white walls. If they’d tried to put it elsewhere it would have made the “choppiness” of the other walls very obvious. But now, everything flows. And keeping the curtain that blocks off the bedroom area of this studio the same colour as the walls adds to that flow. But it still feels light and airy. Read the article and see all the rooms in this home. It’s a good lesson in living with less. Posted in Housing, Laneway House, Small House and tagged Decor, Neighbourhoods, New York, Small House, Small Style, style. Bookmark the permalink. 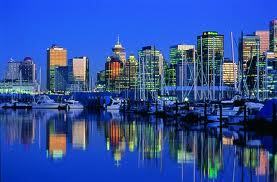 Why is it so hard to find a place to rent in Vancouver? So our condo has sold. Yeah! Also Argh! Now I have to find another place to live for about six months while our adorable laneway home is being built. The rental situation around Vancouver is pretty dire. We will be OK for three very good reasons: we have over two months until we have to move to find a place; we don’t have to find the apartment-of-our-dreams, just someplace temporary (and who can’t put up with a cramped/stuffy/ugly place for six months? ); and this is the time of year when University students give up their apartments and move home for the summer, freeing up some prime spots. Plus we are going to bug all our friends to help us find a place. But we are hindered by the fact that there just aren’t enough rental options in our town. And it turns out that some of those condos that could be rented are sitting empty. A few years ago, some friends of ours downsized out of their house and bought a beeyutiful condo high in a building right on Coal Harbour here in Vancouver. The view was spectacular, walls of floor-to-ceiling windows looking east up Indian Arm. But they sold after they’d been there a couple of years and moved to a neighbourhood on Vancouver Island. Because the condo building was practically empty. Sure, there was no one using the pool when you wanted to do your morning laps. And you never had to wait for an elevator. But it was creepy to know that you were the only occupied apartment on the entire floor. So it looks like people want to own property downtown — they just don’t want to live there. Which is silly because it’s a lovely spot. In this story on her blog, Frances Bula explains the problem. Now you might think, well, what’s the problem? These people are paying taxes, what difference does it make whether or not they live there more than a couple of weeks a year? For one, it makes a difference to the businesses around the empty buildings. Those little shops are what keeps a neighbourhood vibrant. And if those home-owners were here, they’d be spending money and helping the local economy grow. Which they are not. Since the subprime-mortgage-led housing collapse in the US, it’s become obvious that housing as investment can be a volatile commodity — just like any other investment — ruled by supply and demand. Do we really want to encourage a situation where thousands of units suddenly come on the market because Vancouver no longer seems like a great place to stay? Or because the economic situation in the investors’ home country, thousands of miles from here, determines whether or not those properties go on the market? The housing market around here is weird enough without any more problems. And in the meantime — does anybody know about a place to rent? Posted in Cities, Housing and tagged Lane Home, Laneway House, Neighbourhoods, Vancouver. Bookmark the permalink. 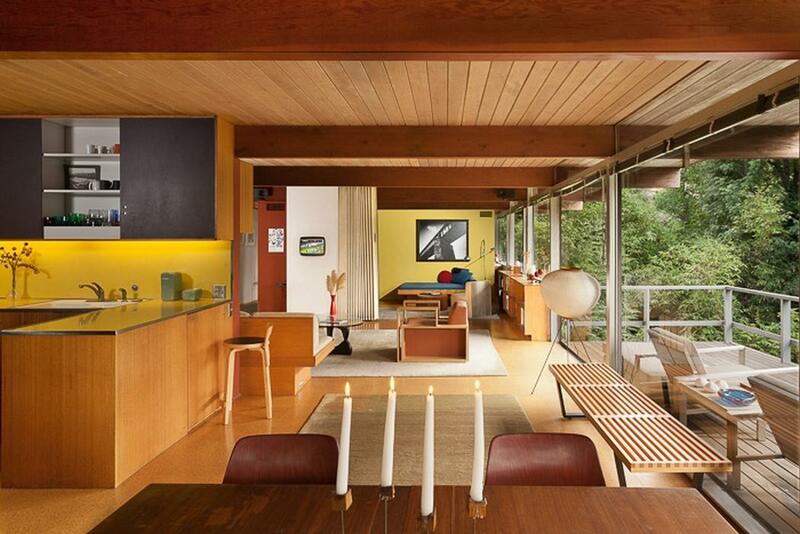 Man oh madman, I love mid-century modern decor. 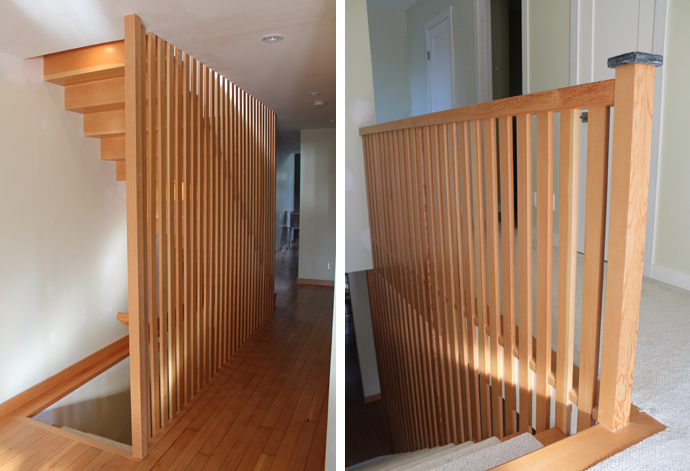 Uncluttered, sleek, lots of natural light and wood. I don’t have to tell you that’s what I want in our new place. I dream of sipping my pre-prandial martini in a room with that much style packed into a tiny space. Posted in Decorating, Housing, Laneway House and tagged Decor, Lane Home, Lane house, Laneway House, Small Style, style. Bookmark the permalink.